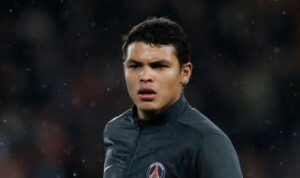 It has been reported that PSG defender Thiago Silva has urged Manchester United striker Wayne Rooney to join him in Paris. The England international striker was urged to quit United for Paris Saint-Germain by Brazil defender Thiago Silva. The 27 year old former Everton striker is a £25m target for the French champs and Arsenal.